I met up with some friends on Monday night to watch a preseason NFL game and I couldn’t help but get a warm and fuzzy feeling from the entire evening. Friends sporting their team apparel, the sound of the whistle blowing after each play, the sound of helmets banging against each other, the fact that both our favorite MLB and NFL teams were playing at the same time on TVs next to each other – All of these things get me right in the mood for football season, fall, and tailgating. Not to mention that only a day before I had made these Spicy Apple-Glazed Meatballs which I immediately concluded would be perfect for game day. Ground meat is mixed with garlic, cayenne pepper, salt and black pepper before being rolled into balls and cooked in a thin layer of oil. 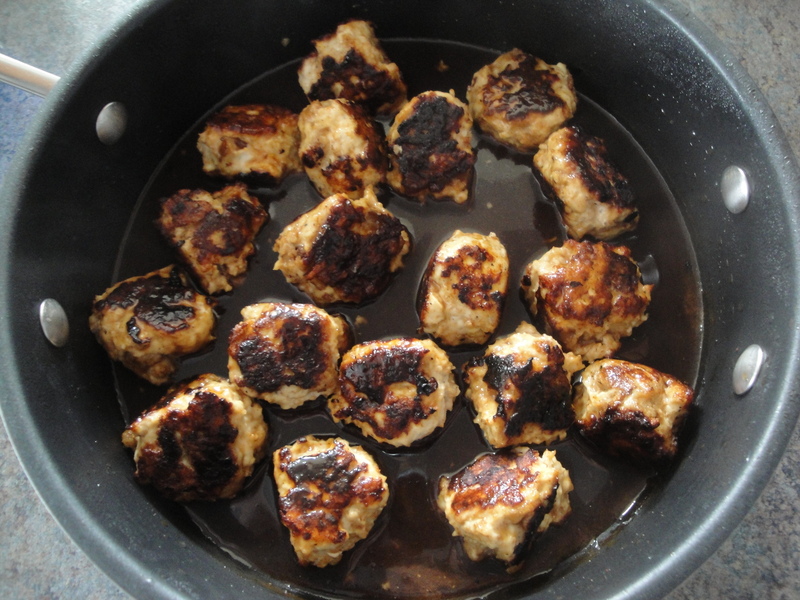 Once browned, the meatballs are tossed in a glaze of apple juice, soy sauce, brown sugar, ground ginger and cayenne pepper. 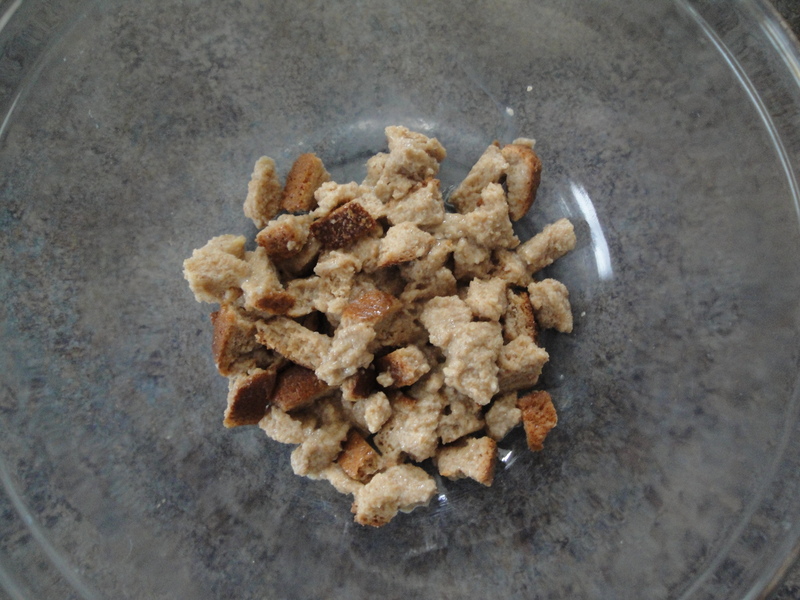 Torn pieces of bread soaked in a combination of milk and egg are incorporated with the meat mixture which keep the meatballs from being dry. The meatballs themselves are moist and garlicky while the sauce is sweet, salty and very spicy. 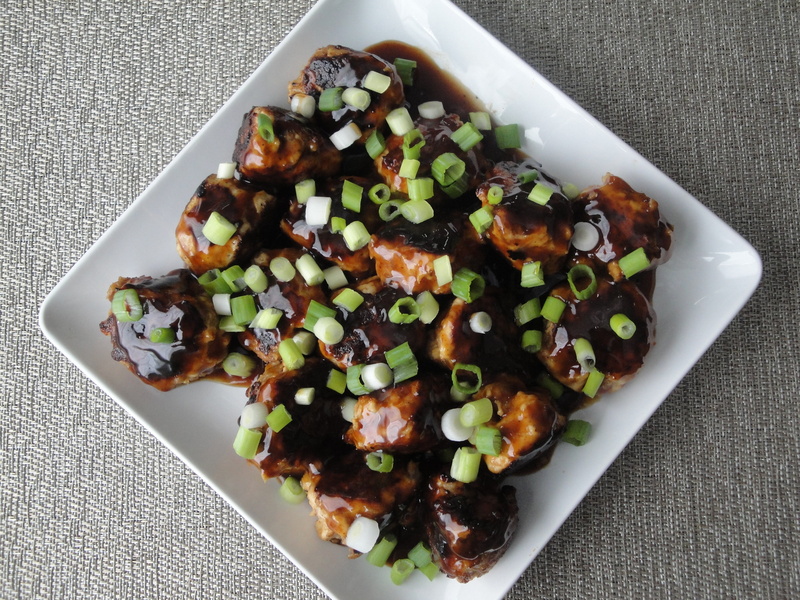 The addition of the chopped scallions adds a light onion bite which tops off these appetizers nicely. I used ground chicken because I had it on hand so I made sure to cook the meatballs thoroughly before removing them from the heat. Next time I make these, I think I’ll use ground turkey (the chicken was sticky and hard to shape into balls) and bake them in the oven to keep them nice and round. While these meatballs make a great appetizer or snack for a game-day get-together or a tailgate, they would also be good as a meal tossed with a little pasta or rice. Ah, fall and football – how I can’t wait for you. To make the meatballs, whisk together egg and milk in a large bowl. 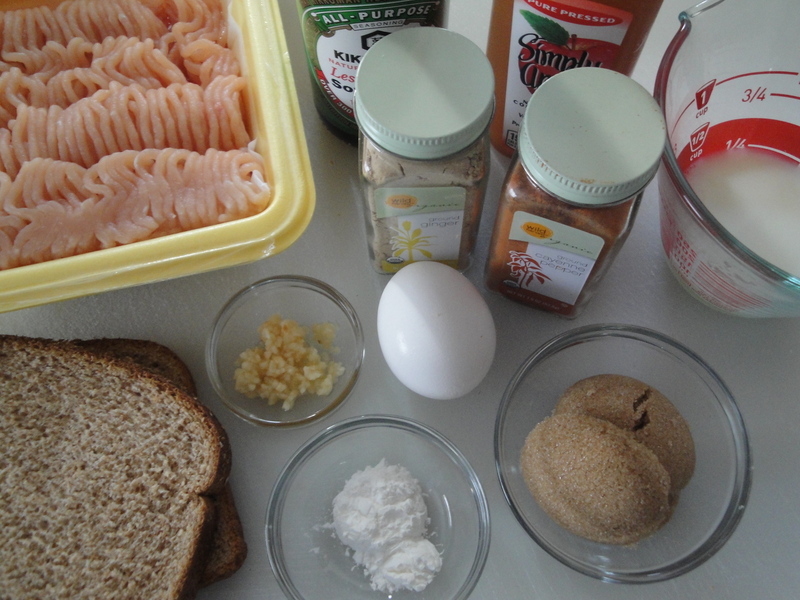 Add bread pieces. Let stand 10 minutes, just until bread is softened. Add ground meat, garlic, black pepper, salt, and cayenne pepper. 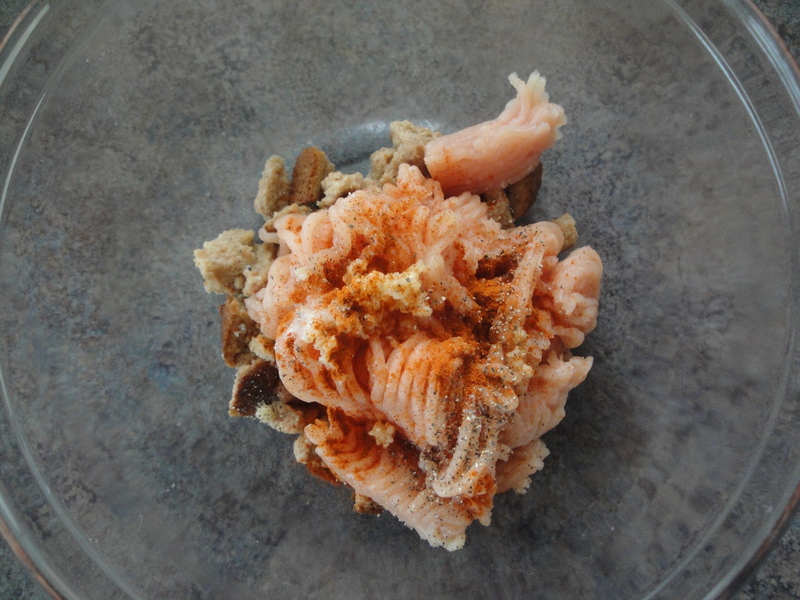 Mix thoroughly with hands or wooden spoon. 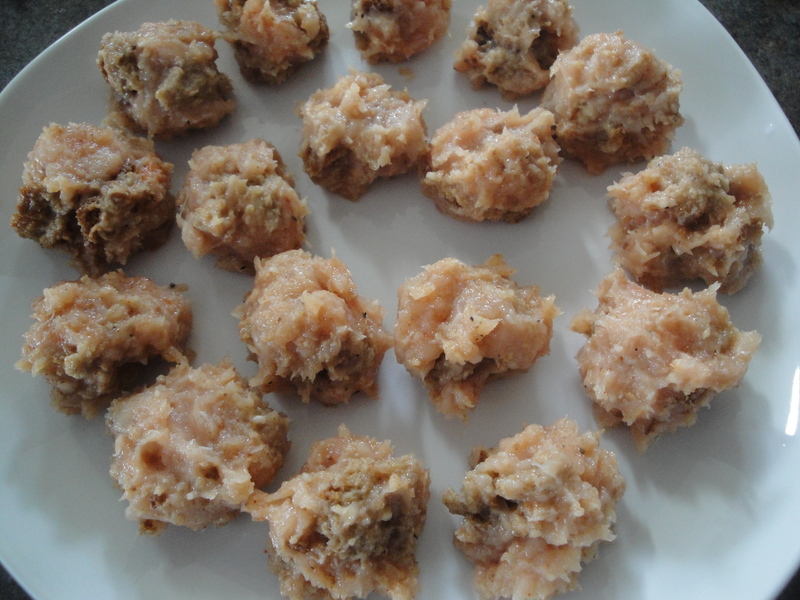 Shape meat mixture into meatballs. Heat oil in skillet heat oil over medium heat. 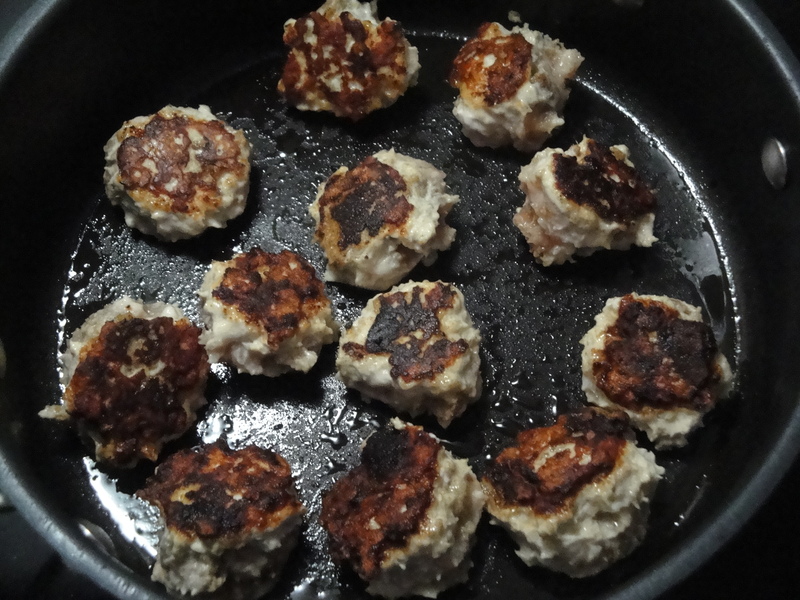 Cook meatballs, half at a time, turning occasionally until brown and crusty on outside and no longer pink inside (for ground chicken or turkey, the internal temperature should be at least 165 degrees F). Transfer meatballs to a dish and cover with a lid or foil to keep warm. 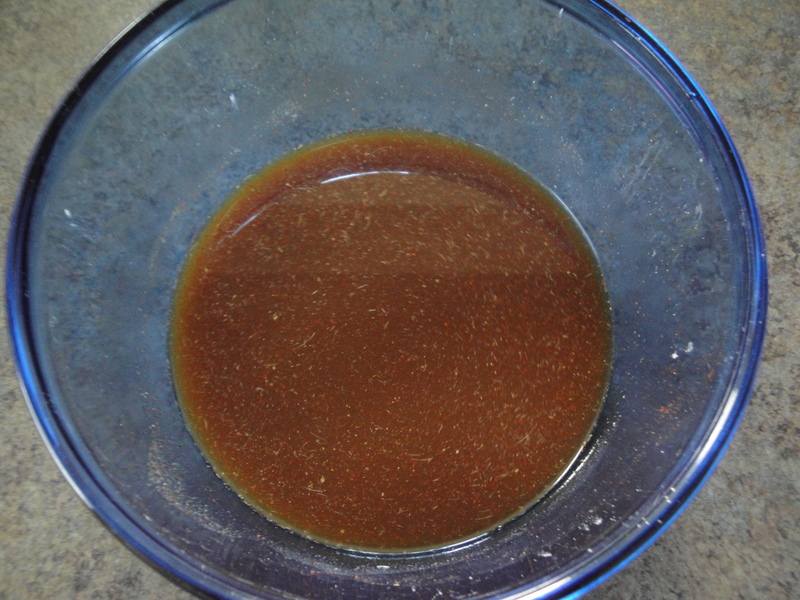 To make the glaze, combine apple juice, soy sauce, brown sugar, cornstarch, ginger, and cayenne pepper in a small bowl. 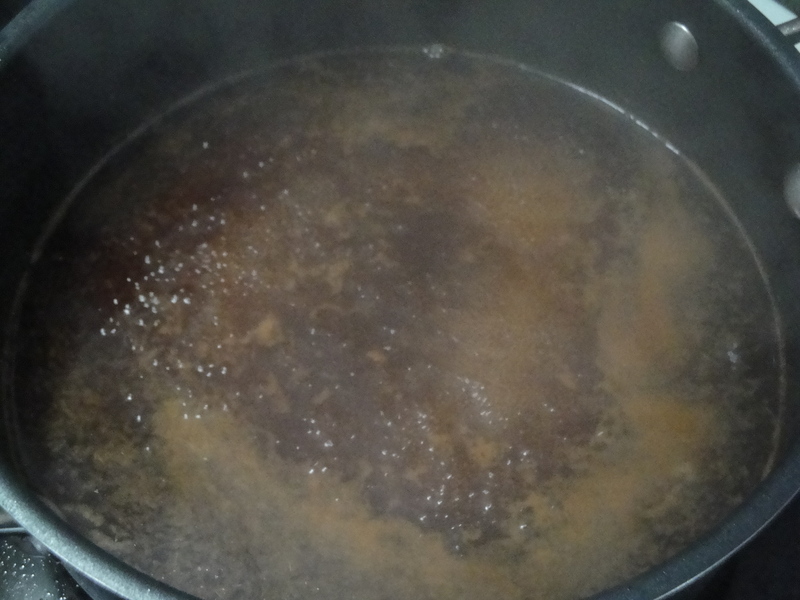 In same skillet as meatballs were cooked, cook and stir juice mixture until thickened and bubbly (at full boil). Cook and stir 2 minutes more. Return meatballs to skillet to heat through and coat with sauce. Transfer glazed meatballs to a serving dish. 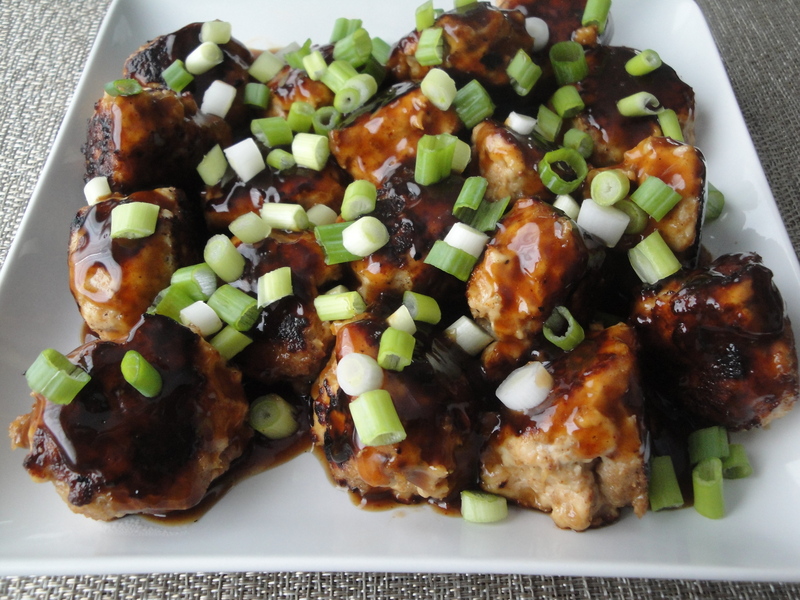 Top with green onions. Your photos are so bright and vivid, I can practically taste those meatballs! And they taste delicious! !